The SC Confederate Relic Room and Military Museum features exhibits that focus on South Carolina's military history. Experience the museum's mission by exploring the museum’s three galleries when you visit. While touring the Main Gallery, trace the state's martial tradition through every American conflict from the Revolutionary War to the present. 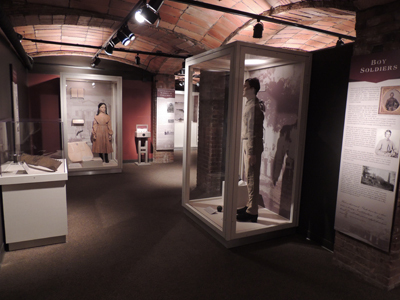 The Cistern Gallery, located in what was the cistern for the mill building, houses large-scale exhibits that are on display for 1-2 years. Small specialized exhibits are on display for a limited time in the Malvina Gist Gallery, located inside the Main Gallery. Click the links below to see what special exhibits are on view or coming soon.